PRACTICE dSPACE Studio is an award-winning architecture firm dedicated to architecture, interiors, and landscape. We are based in Chicago and our work takes us throughout Indiana, Michigan, Wisconsin, and beyond. Project types include residential and commercial, with a focus on urban dwellings, vacation homes, and unique business spaces. Projects include new construction, renovations, and additions. APPROACH We approach all projects individually. Each project starts with an exploration of client needs and evolves from budget, location, and context without imposition of preconceived styles or solutions. We strive to integrate environmentally sustainable design with green technologies and materials, whenever possible. PHILOSOPHY We are dedicated to client satisfaction by meeting mutually agreed upon project requirements and goals. We are committed to effective communication and attention to detail through all phases of design and construction. Northworks is a full-service architecture and planning firm, with offices in Chicago, Philadelphia, Jackson, WY, and San Francisco. Our team offers new building design, historic preservation, site planning, construction management, building conditions analysis and interior design services, including custom furniture. Named Remodeler of the Year by National Association of Home Builders 2016! Michael Menn has been providing architectural and construction services that have exceeded his clients’ expectations since 1977. Michael is a licensed architect in Illinois, Indiana, Iowa, Wisconsin and Arizona, and has reciprocity in more than 40 other states. He formed his first architectural private practice in 1983, devoted to small custom residential and commercial projects. Over the years that firm evolved into a diverse architectural, planning, interior design and construction firm. Most companies will list honesty as an attribute, somewhere after quality, experience and maybe even low price. We think honesty is the most important attribute to look for in an architect or construction resource. After all, if you cannot trust these people, you cannot work with them. Our honesty is manifest in the following ways: We do not overpromise. We set realistic expectations and then work hard to exceed them. When you ask our opinion, we will tell you what we think. That is part of what you are paying for. We only work with trades (subcontractors) that share these values. While Michael Menn, Principal of Michael Menn Ltd., has won numerous awards, he is most proud of the award he won for marketplace ethics from the Illinois Better Business Bureau. Of course you should not just take our word for this. Ask our clients. With decades of combined experience, the team at Lark Architecture is skilled in residential and commercial design and dedicated to high-quality work. As a Chicago-based Architecture firm, we live in a city with deep architectural history. We embrace that sense of history while keeping an eye to the future. We take inspiration from the surroundings of our Logan Square studio as well as our projects sites throughout the city and nationally, from Lincoln Park, Bucktown, and Gold Coast, to the suburbs, the Midwest, and beyond. Lark offers a full range of architecture and interior design services, and we take pride in our innovative, functional designs. Architecture is a collaborative art, and I actively involve clients and builders in the design process. We are passionate about working as your partner to create thoughtful, nourishing spaces for the things that matter most. Together, we craft the settings for everyday moments that become cherished memories. Healthy Living. Elegant, efficient spaces. Connection to the outdoors. Let us help you to bring all of these things together in your home. At Studio Nigro Architecture + Design, we help clients construct healthy environments that nurture our families, our work, our play, and our planet. We do this through efficient use of each project’s resources — spatial, natural, and financial. As your architect, with our team of experienced designers and engineers, we look forward to collaborating with you in realizing your dreams for your home. Schwarz Lewis Design Group, Inc.
An award winning Architectural firm in the Western suburbs, started by Bill Schwarz and Brad Lewis to continue the commitment of providing innovative designs and technical expertise to all of their clients' new endeavors. Bill and Brad's experience encompasses new construction and remodeling/ renovation with a wide variety of project types ranging from residential projects including military housing, historic preservation, production housing, custom homes, apartments, and condominiums along with commercial projects including office buildings, retail stores, and recreational facilities. They also work closely with the client’s desires for each project to provide them with individualized designs that are aesthetically pleasing and offer an economical solution. DeBaker Design Group is a licensed design firm specializing in Custom Homes, Additions and Residential Remodeling. We are dedicated to providing high quality architectural services to each of our unique clients, regardless of project size or budget. Our Award-Winning architects focus on you and your family and work with you to make your dream home a reality. We pride ourselves on our ability to provide outstanding design and comprehensive customer service. Lenore Weiss Studios was founded on the belief that architecture must be inspirational, eminently functional, and delightful to all the senses: - Provide homes that mirror the wishes, hopes and dreams of the people who live there — create a supportive sanctuary enhancing the lifestyle of its occupants - Make everyday tasks not only easy to accomplish but a pleasure to do — now and in the future To make this possible requires only one thing from our clients: that you be you. To merit your trust, we bring a number of qualities to the drawing table: - Award-winning experience in creating the environments our clients seek — from a simple kitchen remodeling to designing a corporate headquarters. - Listening closely to what clients say — and sometimes what they don’t — to create customized design solutions that accurately reflect unique lifestyle requirements. - Providing unusual expertise, from international design systems to the latest sustainable materials and technologies. - Working well as part of a team — Our years of experience have enabled us to form alliances with other design professionals who excel in specific areas of expertise, and share our expectations for superior quality and customer service. We will assemble a team, as appropriate, to enhance project objectives with other design colleagues such as award-winning landscape architects, lighting, acoustical and electronic system designers, contractors, and even furniture makers and metal smiths. Our inclusive process includes effective communication practices ensuring that projects progress as smoothly as possible. At Foster Dale Architects, we create architecture that delights and inspires. By listening well and crafting thoughtful projects that are creative and responsive to client needs, we can achieve amazing things. Foster Dale Architects. Design. Inspired. We offer creative and helpful solutions to have a design which brings beauty and living together. We believe good design is affordable, and clients programs are very important. We take time to listen to an owners unique requirements. We work with owner's specialists in different team settings. Established since 1992, the firm is award winning, in design publications and exhibits, including the Chicago Magazine Home+Garden, HGTV, Chicago Tribune Home Section, LUXE Home+Interiors magazine, and received awards from Better Homes and Gardens magazine.Work has been exhibited at Chicago Chapter AIA, Chicago ArchiCenter. See more on our website: www.awarda.com Also completed green permits courses and seminars for homes in City of Chicago and Suburbs. The firm can collaborate, in team settings and LEED certified architecture. We welcome small projects: renovations, house additions, room additions, chicago room additions, rooftop decks and porches, chicago roof decks, Chicago porches, exteriors, Chicago exteriors, and Chicago garages. We give a free consulation at first appointment. How do I find the best Elmwood Park architect for my home design project? It is best to hire a home architect who will be involved in all phases of the design process, from the initial concept to the completed construction. The architect is often the first person you will hire for your project. If necessary, they might also help you select and hire Illinois subcontractors, which can include the builders, engineers and landscaper. Interior architects are also involved in negotiating contracts for all involved participants. It is for these reasons that it is extremely important for you to have a good relationship with the Elmwood Park residential architect you hire. He or she can be the tie-breaking vote between you and the general contractor and can be your biggest advocate during the construction process. Different architecture firms in Elmwood Park, IL provide different services, so the scope of the work can span from pre-design environmental impact studies to selecting furniture and finishes, depending on what your specific needs are. What sort of process can I expect from a residential architect? As far as the process goes, the architecture firm or individual that you choose will start with concept drawings and finish with construction drawings and documents. Some firms even design with 3D renderings and videos, but that should not be assumed. There should be plenty of meetings between you and your building designer until you have agreed upon a design that you are completely happy with. Always keep in mind that the designer will have building codes to follow, and likely pre-existing design limitations when dealing with a remodel, so while they might not be able to execute your exact ideas they always have your safety and aesthetics in mind. 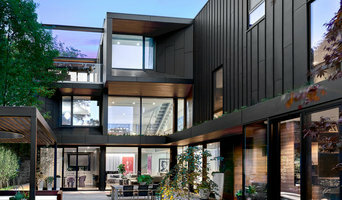 One of the most important duties of a residential architect is to serve as managers and supervise most aspects of construction, as well as facilitate communication between all other contractors, so you can expect them to be present throughout the entire building process to ensure everything is executed as planned. It is very important to hire the right professional for the job. Remember that the most well-known or established designer might not provide the best architectural services for your needs. It all comes down to the individual project. Research and ask people whose work you like for recommendations. It's important to have somewhat of an idea of the style of house architecture that you prefer, as well as the amount you would like to spend. Residential architects in Elmwood Park, IL are natural problem solvers. They will assess the entire situation and help you to solve your problems too. Don't settle for a single company too early. Call and interview a few. Make sure that you feel like your personalities will mesh well and that you like their professional perspective. What is your fee structure? What does the cost include? Do you have professional liability insurance? Can you handle my special requests (ADA, LEED etc.)? What types of renderings (3D, video, illustrative) will you produce? When do you expect to start and be finished with the project? What happens when the cost exceeds the budget? Will you help with hiring a general contractor and subcontractors? What do you estimate the cost will be? Are there any complications you foresee with this project? 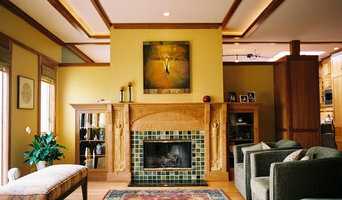 Find a home architect in Elmwood Park, IL on Houzz. Narrow your search in the Professionals section of the website to Elmwood Park architects. You may also look through photos of Illinois projects to find interior architects and building designers who have worked on a project similar to yours.